Posted On November 16, 2012 by &filed under Legal Tips. An application for registration is to be submitted to the Secretary, Election Commission of India, Nirvachan Sadan, Ashoka Road, New Delhi-110001 in the Performa prescribed by the Commission. The Performa is available on request by post or across the counter from the office of the Commission. The Performa and necessary guidelines are also available on the Commission’s website under the main heading Judicial References, sub-heading Political Party and sub-sub-heading Registration of Political Parties. The same can be downloaded from there also. The application should be neatly typed on the party’s letter head, if any, and it should be sent by registered post or presented personally to the Secretary to the Election Commission within thirty days following the date of formation of the party. A demand draft for Rs. 10,000/- (Rupees Ten Thousand Only) on account of processing fee drawn in favour of Under Secretary, Election Commission of India, and New Delhi. The processing fee is non-refundable. A neatly typed/printed copy of the memorandum/rules and regulations/Constitution of the Party containing a specific provision as required under sub-section (5) of Section 29A of the Representation of the People Act, 1951 in the exact terms, which reads “—————(name of the party) shall bear true faith and allegiance to the constitution of India as by law established, and to the principles of socialism, secularism and democracy and would uphold the sovereignty, unity and integrity of India”. The above mandatory provision must be included in the text of party constitution/rules and regulations/memorandum itself as one of the Articles/clauses. The copy of the party Constitution should be duly authenticated on each page by the General Secretary/President/Chairman of the Party and the seal of the signatory should be affixed thereon. There should be a specific provision in the Constitution/rules and regulations/memorandum of the party regarding organizational elections at different levels and the periodicity of such elections and terms of office of the office-bearers of the party. The procedure to be adopted in the case of merger/dissolution should be specifically provided in the Constitution/rules and regulations/memorandum. Certified extracts from the latest electoral rolls in respect of at least 100 members of the party (including all office-bearers/members of main decision-making organs like Executive Committee/Executive Council) to show that they are registered electors. An affidavit duty signed by the President/General Secretary of the party and sworn before a First Class Magistrate/Oath Commissioner)/ Notary Public to the effect that no member of the party is a member of any other political party registered with the Commission. Individual affidavits from at least 100 members of the party to the effect that the said member is a registered elector and that he is not a member of any other political party registered with the Commission duly sworn before a First Class Magistrate/Oath Commissioner)/Notary Public. These affidavits shall be in addition to the furnishing of certified extracts of electoral rolls in respect of the 100 members of the applicant party. 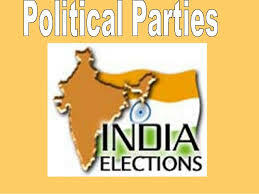 Particulars of Bank accounts and Permanent Account Number if any in the name of the party. Duly completed CHECK LIST along with requisite documents prescribed therein. 3. The application along with all the required documents mentioned above should reach the Secretary to the Commission within 30 days following the date of formation of the party. 4. Any application made after the said period will be time-barred. 101 queries in 0.200 seconds.